I've always loved the, "Animal Crossing," games ever since I played the first one back in the day on the Gamecube. I've enjoyed it on that console, the Nintendo DS, and previously got very excited when it was announced a version would come-out for the iPhone. 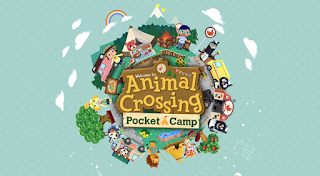 Finally this week, "Animal Crossing: Pocket Camp," was available in the United Sates for all us Americans to enjoy on our mobile devices and it is just as charming and fun as always...with a new unseemly element we will get to in a minute. "Animal Crossing," as a game series has been about living in a town full of anthropomorphic creatures whom you can chat with or do errands for in between catching bugs, fishing, or decorating your house. It is like stepping into a happy world where you can just relax and have good fun. 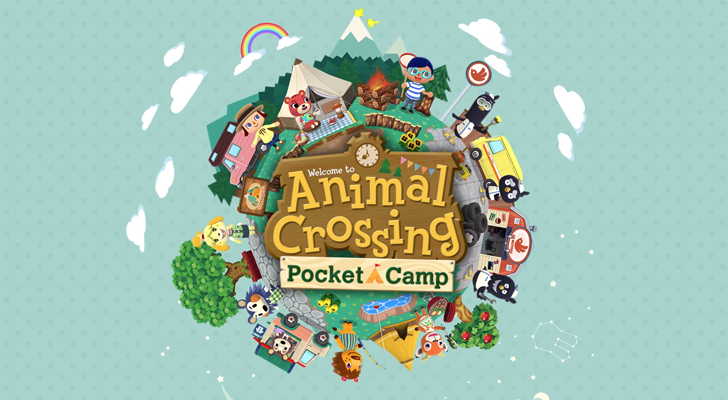 "Pocket Camp," changes a few things and has you visit a camp-site where you can decorate the setting as well as your camper and invite other animal-humans to come hang-out. It is a little different but still like the good ol' classic games except for the new off-putting aspect that threatens to ruin all the fun: Microtransactions. Microtransactions are hated by many a video-game player. Want more lives in your game? Just spend 99 cents and there you go. Interested in boosting your Kingdom's crops? For just $4.99 you can buy a great harvest, and so forth in many games. These little ways to make stuff happen faster are annoying but at times make sense in games. "Animal Crossing: Pocket Camp," is a free game with microtransactions however which feel just kinda icky and almost game-breaking for something like, "Animal Crossing." After all, the whole point of the old games was to check in every once in awhile as the world advanced in real-time. You could harvest fruits and then had to wait for more, things took time but that was okay because the whole point was to enjoy this chill and relaxing game. Now everything can happen faster. Want more fruit? Use some special tickets you can buy more of. Interested in catching a bunch of fish? Use some nets bought with tickets. Should you want to attract more bugs you can buy some honey, if you want to craft something quickly than you can pay-up for that too. Do you wish your animal-friends had more errands you could run, because if you do there is a microtransaction for that. There is even an area you can visit as long as you cough-up tickets or have enough friends to get more in-game goodies. It feels a bit against the whole motif of, "Animal Crossing," to be able to speed things up as long as you are willing to spend some cash. It goes without saying I would've been happier to just truly purchase the game and have all this microtransaction nonsense go away. The saving grace to all these microtransactions is that you can still basically fully enjoy the game without having to spend a dime and let everything take its time--just as in the classic iterations of, "Animal Crossing." It is still off-putting however and while I don't necessarily think Nintendo should be ashamed, it is kind of a downer. After all, everything about the game I enjoy can be had faster if I just provide some cash. Any charming moment is undercut by this purely mercenary focus on saying, "You like this? Give us money for more of it!" I love anything, "Animal Crossing," so I still like it, but any recommendation I can give for people to try it out comes with that heavy caveat of, "It's fun, but those microtransactions..." As it is, this is a fun but flawed way to spend some time on your phone.